Social Impact Enterprises — Help Peru, Inc.
Kunan inspires, identifies, and supports social impact initiatives led by Peruvian millennials. Founded in 2014, it organizes an annual competition that recognizes the most impactful organization in social work. Winners receive economic support, training, legal advice, media exposure, and access to the Kunan network. In 2014, two organizations were selected from over 170 participants. Formation of a community of 40 social entrepreneurs for whom Kunan organizes inspiring talks, training sessions, and other events to help them grow. Help Peru funded the "Sierra" Prize, to be awarded to the non-profit with greatest social impact in the Peruvian highlands. In 2015, the prize was awarded to Hoseg, a clothing company that will provide 383 jackets to kids living in various towns in Cuzco. Promotion of a culture of philanthropy: over 60 media appearances, 160,000 visits to Kunan’s website, and more than 38,000 Peruvians voting in the contest with the hashtag #kunan. In 2015, Help Peru granted the Premio Sierra award to an organization doing charitable work in Peru’s highlands. Kunan initially provided Help Peru a list of ten organizations considered as potential recipients of the award. Help Peru’s Donation Committee narrowed the list to three organizations and ultimately provided the award to Höseg, a clothing company. Höseg, which in Hungarian means spreading warmth, is a venture philanthropy type organization - for every jacket Höseg sells, Höseg founders personally deliver a jacket to a child living in a poor community at least 3,000 meters above sea level. Höseg estimates that approximately 2.5 million Peruvian kids suffer from being exposed to the cold temperatures of Peru’s highlands. 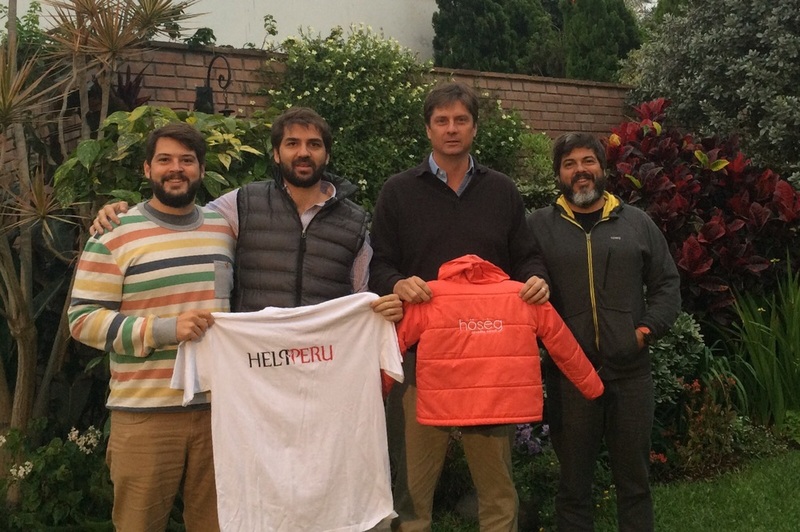 Thanks to the Premio Sierra award, Höseg was able to deliver 385 jackets to six communities in Cuzco last December. Kunan has also arranged for EY to provide Höseg with advice as to how it should grow its business venture. Social lab focused on strengthening and developing the key players and institutions of Peru's social ecosystem through research, strategy development, coaching and partnerships.